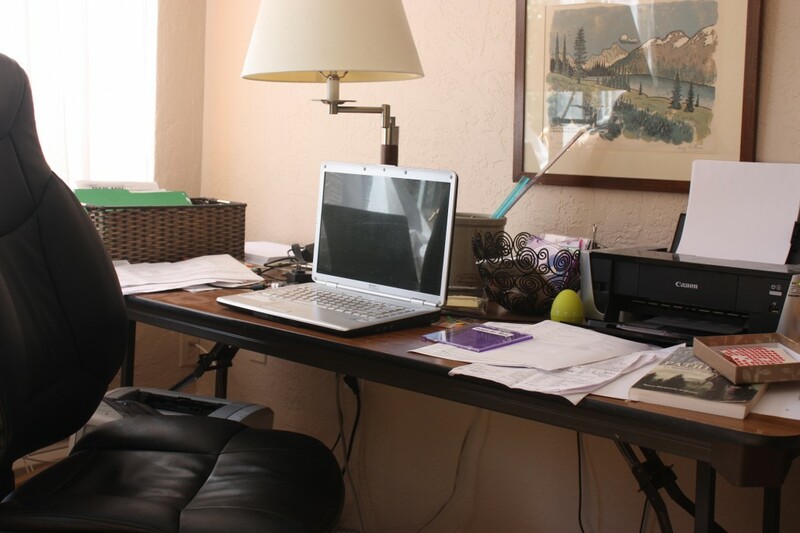 My mother was a writer, sort of. She wrote columns for local newspapers (for the Campbell River Courier, and the Sooke Mirror), which were generally received with delight and — well — scorn. She had a admirable sense of the ridiculous which translated into a play with words that was, frankly, both delightful and ridiculous. Her memoir-of-sorts was titled Lurking Back — and that is what she claimed she would do when she died. She claimed she would hang in a net and watch what was happening in the world, and to us. But when she died I knew that she wasn’t there. It is New Years Eve, and this particular column of hers seems to be relevant, to me at least. Some people look back on New Years’ to see what they have missed; and maybe she did. But here is her column, republished years after she wrote it in the East Sooke Mirror under the heading, East Sooke No-News — and years after it was republished in her book called Lurking Back: East Sooke No-News. Many years ago, when I was a child my Uncle Jim came to my family at Duncan. Uncle Jim was James Robert Anderson, a well-known B.C. naturalist, Deputy Minister of Agriculture, and author of the book, Trees and Shrubs: Food, Medicinal, and Poisonous Plants of British Columbia. The book was used for many years as a textbook in the schools. I was a bright and chatty child in my family surroundings and I impressed Uncle Jim. I took walks with him, showed him my favorite tree which grew close to the house, a rustly poplar, and he told me its Latin name and a great deal about its species, which I’ve forgotten. I do remember what he told me about the wild flower I loved, and still love, the Easter lily, Dog-Toothed Violet some call it. Uncle Jim had a lovely photo of lilies in his book, which I still look at with pleasure. Its Latin name is erythronium and I have remembered that name these almost 60 years. Because I was so bright and chatty and altogether charming, Uncle Jim invited mt to stay with him in Victoria for a week. He lived in a rooming house on Cook Street and he got me a room. I was thrilled. Victoria was a huge city and I’d never been there. I had my own room and with the lovely food it was a luxury. Unfortunately the week was a disaster. I was hit with that dread disease, shyness, and I turned into a clod. Uncle Jim was a gruff old man and he didn’t know what to do with me. He took me for walks to the Gorge where he showed me the famous “reversing falls.” I would walk beside Uncle Jim desperately trying to think of something to say. Occasionally I would come up with a question, he would answer it and that would be that. Uncle Jim got cranky and I got shyer. One night he snapped at me at suppertime and I heard a girl at the next table in the dining room say, “Poor little thing.” She and her fiance invited me to attend a movie with them. Uncle Jim gladly acceded and this I did enjoy, although still silently I am sure. Uncle Jim decided to ship me back a day or so early for some reason and took me to Woolworth’s 5, 10 and 15 cent store and told me I could choose whatever I wanted for a gift. Oh, what joy! I wandered up and down the aisles, saw pretty scarves, diamond brooches, dolls, what to choose? He got sick of waiting and bought me a large boring white handkerchief and put me on the bus. I dimly realized that the visit hadn’t been a success. I had no further acquaintance with Uncle Jim. He was a gruff and lonely person and I was locked in a prison of shyness. I grew up to be an outdoors-loving, woolly-headed sort of person who takes long walks into every bit of grassland and bushland I can find. I look at everything and know almost nothing. Lilies of course I know, violets and columbine, shooting stars, trilliums and camas, but what about the myriad of tiny white, blue and mauve flowers that dot the grasslands, what about them? Uncle Jim could have told me. Many years later my brother Elton lived with Jimmy and me on Cortes Island. Elton was a logger and in later years, an active environmentalist and editor of the Federation of BC Naturalists’ newsletter. I can remember the large, dirty, tired logger coming home from his days’ work, clasping in his great black fist some tiny, insignificant flower. There’d be a great splashing and wallowing in the bathroom as he washed up and then until supper time, there he’d sit, flower in one hand, books spread all around, until he had it nailed down, family, Latin name and all. Flowers in the garden, scarlet and gold, the size of dinner plates, were all heaped together by Elton as “galaxias” or some such silly name, but the name of this little greeenish pinhead would remain with him forever. Some of this rubbed off on me, but a great deal of it did on my children. They enjoyed Elton and he enjoyed them, took them for walks and taught them things, and they have grown up with a love for and an interest in the outdoors that will never leave them. It’s hard for any of us to take a walk without seeing something we wish we could ask Elton about. Often it’s a flower, a bird, anything unusual away from the concrete roadways. I believe that next to reading to a child, there’s nothing more important than walking with a child. Teach him to look, to see, to smell what there is away from cars and concrete. Best of all, away from TV. And if you are lucky enough to have an Uncle Jim or an Elton in your family, don’t let him go to waste. I never had an opportunity to know great-Uncle Jim, who died fifteen years before I was born. 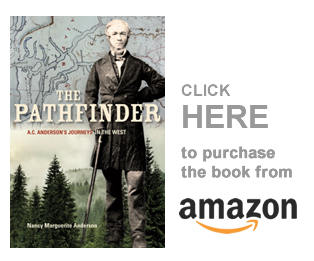 He was the eldest son of Alexander Caulfield Anderson, born in 1841 at Fort Nisqually. He grew up in the fur trade, and died as a result of being struck by a motor vehicle in Victoria. But I knew my uncle Elton well, and yes, he taught the both my sister and me to look, and to see nature. My book is dedicated to him, and though he died forty years ago, I remember him well.